Your premier choice for hosting your next business meeting or social gathering. National Cathedral School is a premier location for your next business meeting or social gathering. Located on the grounds of the Washington National Cathedral, the NCS is a historic institution in the heart of Washington, DC, with over 30 years of experience hosting events. We provide a full range of services including catering, facilities set-up, security, event coordination, and on-site parking. A commitment to customer satisfaction is the cornerstone of our success. 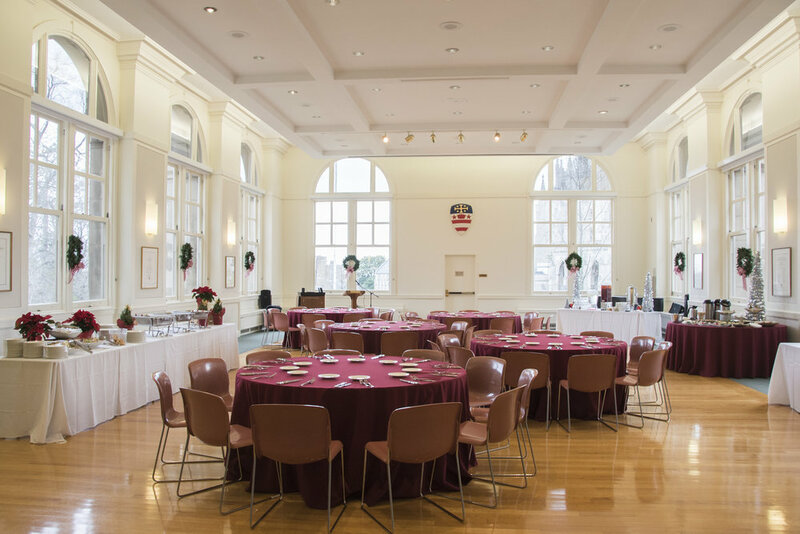 The next time you need a location for a corporate meeting, reception, educational meeting, or social gathering, look no further than the National Cathedral School. The new Grace Chapel provides a serene and tranquil space for spiritual celebration and reflection. With seating for approximately 300, Grace Chapel is a sacred space that welcomes all faiths perfect for wedding ceremonies, baptisms, memorial services and special gatherings. A classic example of Beaux-Art architecture, Hearst Hall is an historic landmark and the original residence of National Cathedral School. Adjacent to the Cathedral’s west front, the building boasts gracious spaces for many different types of special events, meetings and gatherings. The 90,000-square-foot Agnes C. Underwood Athletic Center includes two outdoor turf fields, four indoor courts, an indoor jogging track, and dance and yoga studios. With so much space to accommodate a wide variety of team and individual sports schedule a tour to see which space is right for your needs.